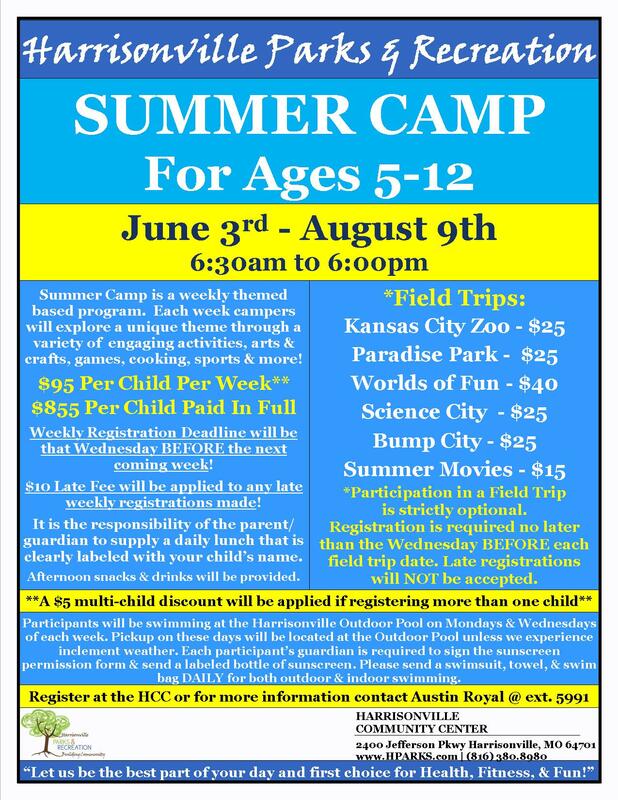 Join us for another fun SUMMER at the HCC! For more details for the 2019 Summer Camp please click onto the flyer. Summer Camp is a weekly themed based program that runs for 10-weeks. Each week campers will explore a unique theme through a variety of engaging activities - arts & crafts, games, cooking, sports & more! Camper also enjoy swimming at the Harrisonville Outdoor Aquatic Center twice a week!